A fresh survey, carried out by Ahmedabad-based rights group, Centre for Social Justice January between January and March 2013, and sponsored by Action Aid, has revealed that thousands of victims of Gujarat riots, who still remained displaced a decade after the holocaust, are unable to return to their original habitat as they fear they will not be protected. Carried out among 464 internally displaced persons (IDPs), a term coined by the United Nations to identify those who are forced to leave their habitat because of violent situations, as many as 364 of the surveyed IDPs continue living in rehabilitation camps, and another 100 IDPs live in alternative housing provided to them in different towns in eight districts of Gujarat. The survey results show that 65 per cent of the IDPs live a displaced life for the last 10 years, whereas 30 per cent have remained displaced between five and 10 years. During their displaced living, 90 per cent of the IDPs faced multiple displacements. Further, 75 per cent of the IDPs said as they feared fresh attack, which forced to shift from one place to another, and 50 per cent of the IDPs said they shifted to a new place because they lacked basic facilities at the earlier place of living. The survey, which forms part of “A Study on Internally Displaced Persons of India: Mapping and Citizenship Rights”, to be released shortly, says that the aftermath of the violence was a disastrous experience for the IDPs. It reveals that 67 per cent of the IDPs mentioned that they were “not protected” from the attackers in the wake of brutal and violent attacks. Nearly 80 per cent of the IDPs were forced to immediately shift and take shelter in relief camps, out of which 43 per cent said they were accompanied by security agencies during their transit to relief camps. “As many as 93 per cent of IDPs suffered losses of different types due to the violent conflict. The losses narrated included house burnt (71 per cent), looting of house (78 per cent), looting and burning of shop (37%), only looting of shop (27 per cent), and looting of food grains (66 per cent). The survey shows that the IDPs were left with nothing, and that they were in such heightened state of fear of losing their lives that they had to run away to safer places”, the survey said. The survey information suggests that most of the efforts for ensuring justice by law enforcement came from non-state actors, while the state put maximum efforts to prevent fair trials and provide justice to the IDPs. Justice in majority cases remains a far cry. “People have started losing hope in justice. Out of total incidents of violent attacks, police took suo motu action only in 41 per cent of cases, whereas in nearly 50 per cent of the victims said their FIRs were not registered. Further, 18 per cent of the victims whose FIRs were registered did not know whether the accused were arrested, whereas in 20 per cent of the cases the accused were not arrested at all”, the survey says. Further, the survey says, merely 40 per cent of the victims said that they did not know about the filing of charge-sheet in court. “Only 2 per cent of the victims were satisfied with the charge-sheet filed in the court, whereas nearly 34 per cent were dissatisfied with it. Out of the 34 per cent dissatisfied victims, only 2 per cent could file protest petition in the court. As many as 43 per cent of victims were not aware of the current status of their case, whereas only 9 per cent said they do have hope for justice in the court of law”, the survey says. Further, the survey suggested that 22 per cent of the IDPs lost land and another 29 per cent lost shop. On being asked whether the government helped them provide any job, 87 per cent of the IDPs replied in the negative. While 68 per cent of the IDPs said that though that they lived in a more difficult situation than before, they never tried to return to their original place of living, another 31 per cent said they tried to return but in vain. The surveyors carried out short focus group discussions (FGDs) with 20 to 50 residents at four IDP colonies of Mehsana, Himmatnagar, Anand and Sarkhej (Ahmedabad). “The discussions revealed the current condition in terms of access to civic amenities as well as social conditions. Young people said how they were forced to drop out from their studies due to the conflict-led displacement when they were small. Now they worked as casual workers”, the survey report says. Housing and basic amenities remained a key concern in most IDPs. In many colonies the ownership of houses is yet to be transferred to the IDPs’ names. Besides, these colonies have not been provided with drinking water, approach roads, drainage, street lights etc. IDPs said, the compensation given to them is inadequate. The initial damage survey done by local government officials was done in a discriminatory and inappropriate manner, which resulted in minimal compensation. “Indeed, normalcy eludes most the IDPs, as the state government has denied any recognition of their existence. 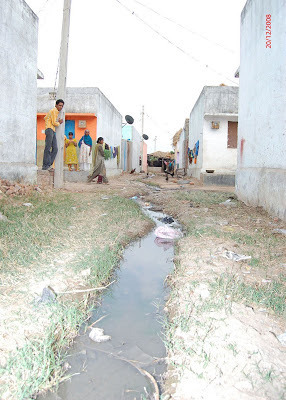 Even after 12 years, these colonies have not been mainstreamed in the towns or villages where they are located. Most IDPs did not want to return to their original place of living, as they said, they did not have faith in the present administration for their safety. Their houses were burnt, property damaged, and many their own kin were killed. They did not want to risk their life again”, the survey concludes.